Reeling from a traumatic tour of duty in Afghanistan, Joey (Jason Statham), an ex-Special Forces soldier, returns to London to face another kind of war: life on the streets as a damaged, homeless veteran. In an attempt to rehabilitate himself, Joey assumes another man’s identity and seeks the aid of Sister Cristina (Agata Buzek), a young nun who works at an inner-city parish. But Joey’s expert training as a soldier marks him as a valuable asset, and he soon finds himself caught in the dark web of London’s criminal underworld. Struggling to keep hold of his integrity, Joey offers his profits to those who need it most. But when he learns his missing girlfriend was brutally murdered by a ruthless kingpin, he risks everything for bloody revenge, hurtling down a deadly path that promises to destroy him completely… or be his last and only hope at redemption. My second Jason Statham movie for this year (my previous was Parker) and it was a tad below my expectation. If you are going for his action, there are some, but I would say that he is trying to go a little deeper, into the world of mental health issues. The flashes of war-scenes and weird hummingbirds were odd and crazy, perhaps exactly how the director wanted it to be. Everything was odd, even nun wore red dress and kissed gangster. Perhaps I couldn’t fully grasp what the movie was trying to tell. Joey had a daughter and ex-wife(who got really agitated when she saw him? ), a dead girlfriend who was supposedly a prostitute and then he fell in love with a nun. The fighting scenes were great and the jokes were sparse but funny. There were several parts where I couldn’t catch his slurs (and there were no subtitles!) As for whether it’s a movie worth your ticket money, I might think twice. Perhaps go for the weekday cheaper tickets instead of the weekends or midnight shows. Hummingbird was released in the United Kingdom, United States (as Redemption), and France (as Crazy Joe). Hummingbird was almost entirely filmed throughout the hours of night. Filming sites included popular streets for homeless people and apparently sometimes even involved them. Statham stated that before filming started there was a lot of research into the mental health issues of his character. Some ex-servicemen were asked about their own experiences they had. Check out Redemption’s (Hummingbird) official website and Facebook Page. 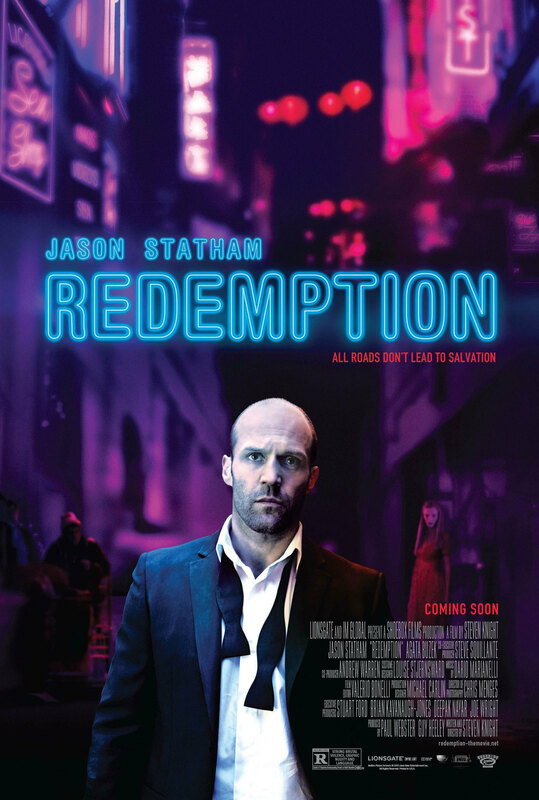 Redemption (Hummingbird) will be in cinemas from 18th July 2013 onwards. *Disclosure: Tickets from golden village. No monetary compensation was received for the movie review.